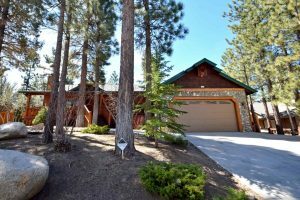 Castle Glen Estates is Big Bear Lake’s premier neighborhood and all our vacation homes are fully furnished and ready for your arrival. Castle Glen Estates homes are special whether it’s the amazing view, desired amenities or unique architecture, your stay is sure to be a memorable experience. Surrounded by a designated nature preserve, the newer development of approximately 250 homes ranging from 1,800 to over 4,000 square feet is located on the south shore and boasts panoramic views of the lake, mountains and valley. Castle Glen Estates features traditional and log-style homes with vaulted open-beamed ceilings, high end finishes, open floor plans, wood trim, mountain accents and skilled craftsmanship. The neighborhood has been designed to incorporate the natural mountain surroundings with winding streets, native oak and pine trees and Xeriscape landscaping. The location close to amenities makes it convenient for both vacationers and residents. 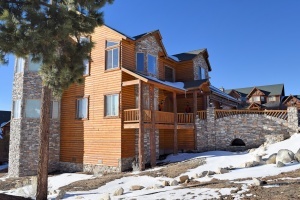 Select one of our premier big bear cabin rentals. Bask in the beauty of Windsong Retreat, where the views are spectacular and the accommodations are stellar. 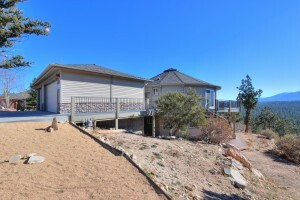 Overlooking Big Bear Lake and Bakers Pond, the views from this luxury home are amazing. 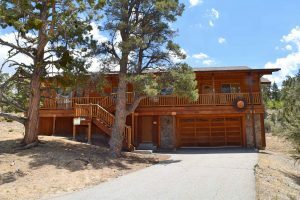 With over 3000 square feet of living space and gorgeous views of Big Bear Lake and the surrounding mountain range, this cabin is perfect for entertaining and family gatherings! 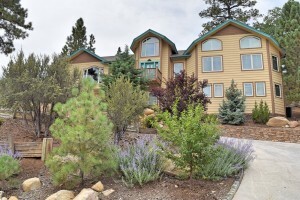 This beautiful custom designed home is located in one of the best neighborhoods we have here in Big Bear, Eagle Mountain Estates, adjacent to Castle Glen Estates. 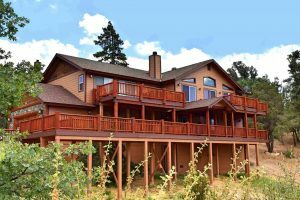 When you see the views from this Big Bear cabin rental, you will be amazed at how peaceful life can be. 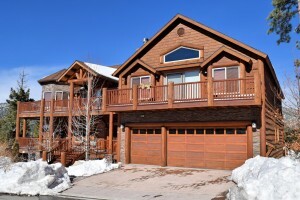 You will love the mountain decor, luxury finishes and the true log cabin feeling of this custom built getaway. All Seasons on the Hill is a wonderful blend of scenery, luxury and comfort for your family and friends. The moment you open the front door at Sun Terrace you will fall in love with the wide open space. Wood walls and flooring pull together the dining area, kitchen and front room, I can guarantee that this is the perfect location to spend the morning and evening hours in once everyone has returned from their days adventure out on the hill. 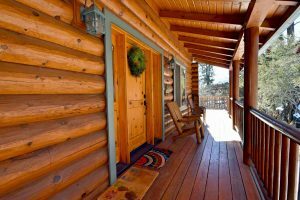 Located right on the peak of Rebel Ridge, this cabin is the perfect blend of rustic log cabin, cozy mountain decor and all the comforts of home. 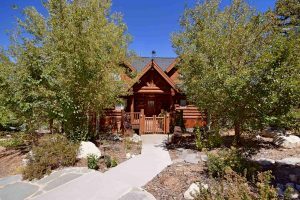 This hidden gem will make you want to come back to Big Bear Lake before you even leave! 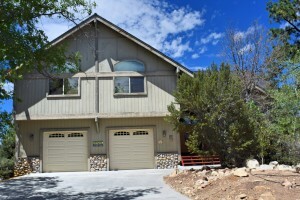 Located in Eagle Mountain Estates, adjacent to Castle Glen Estates. If you are looking to purchase a home in Castle Glen Estates, or would like to stay in a Castle Glen vacation rental, contact Destination Big Bear at (909) 752-0234.